280 Grindstone Hill Road. Access through driveway at 282 Grindstone Hill Road on crest of hill approximately 0.8 miles west of Route 49. Park in designated area along lane. No dogs, even on leashes. 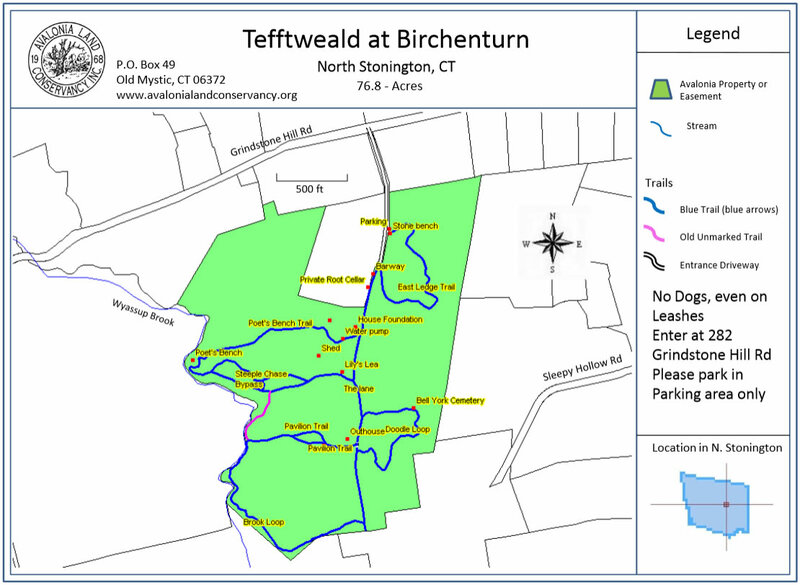 Several short loop trails of 1.5 mile main trail. Upland forest with numerous stone walls and rock ledges. Also a meadow (Lilly’s Lea) and open woodlands.